Every coin has two sides and every case has two sides to the story. There are several key things to watch carefully in the William Porter case. First the jury’s first introduction to the case is with the State’s opening statements. While openings are not evidence in any case, they set the tone for what might happen. And jury consultants often teach trial lawyers that jurors often decide a case on the opening statements and then look towards evidence that will validate their feelings from the opening. A well- spoken opening statement outlining the case in graphic, eloquent manner is crucial to either side. 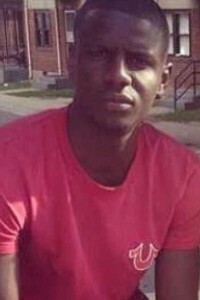 And Deputy State’s Attorney Michael Schatzow emotionally appealed to the jury with words to describe how Freddie Gray entered the van and then how he left the van—saying Gray could walk, talk, breath and run before he got in the Baltimore police van. Gray left the van unconscious clinging for his life and died a week later. As for the two sides of the coin, the cross examination by defense attorney, Joe Murtha, will also be key to watch. Murtha attempted to score points with the first state’s witness on Wednesday by establishing that Porter had very little medical training. I’m not sure if that got very far since it shouldn’t take much police training to call for a medic if a prisoner repeatedly asks for one. As the case continues, the essence of a good defense attorney is how well he cross examines witnesses. There has been speculation that William Porter will take the witness stand. If I were his lawyer, I might strongly advise against him taking the stand and rely instead on the cross examination of witnesses and any defense expert witnesses. If Porter does take the stand, it will be one of the most watched and important aspects of the case. How well Porter does on the stand will likely determine his fate. The State intends to examine another prisoner who was in the van with Gray. There has been some controversy surrounding this witness’ prior statements. And again, it will be good to watch how the witness holds up on cross examination. The case is highly circumstantial as to how Gray sustained his injuries although an expert will testify injuries were of significance force—like a diving injury. As the openings set the tone for the case, the closing arguments will either seal the deal or deliver a death blow to one side. I would expect that both sides will deliver stellar closing arguments with the defense setting the tone that Porter cannot be held liable for involuntary manslaughter by his failure to act – as opposed to acts that he did. Judge Williams will instruct the jurors on the legal definitions by which the jurors will be bound. And I expect that Deputy State’s Attorney Michael Schatzow will deliver the closing argument of his career. Washington, DC based Debbie Hines is a trial lawyer, legal analyst and former Baltimore City prosecutor. 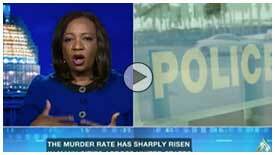 She appears as a legal analyst on Al Jazeera America, CBS News, MSNBC, PBS News Hour, Sky News among others. She is a native of Baltimore.